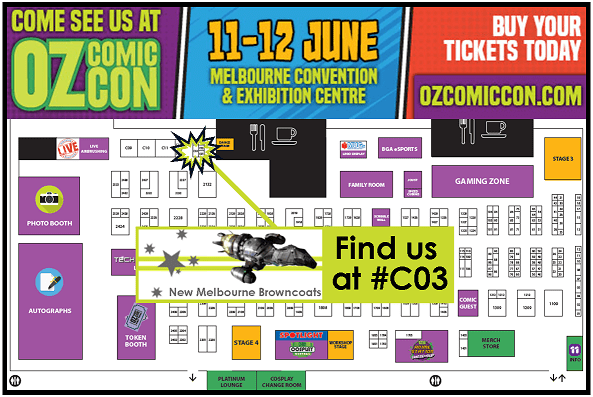 New Melbourne Browncoats, Inc. | Here’s where to find us at Oz Comic Con Melbourne this weekend! Browncoat Trivia raises over $1000 for WIRE! Announcing Can’t Stop the Serenity Melbourne 2016! Here’s where to find us at Oz Comic Con Melbourne this weekend! Here’s where to find us at Oz Comic Con Melbourne this weekend! We’ve got heaps of goodies to suit all Browncoats, so make sure you stop by and help us raise much needed money for FareShare and Fitted for Work!